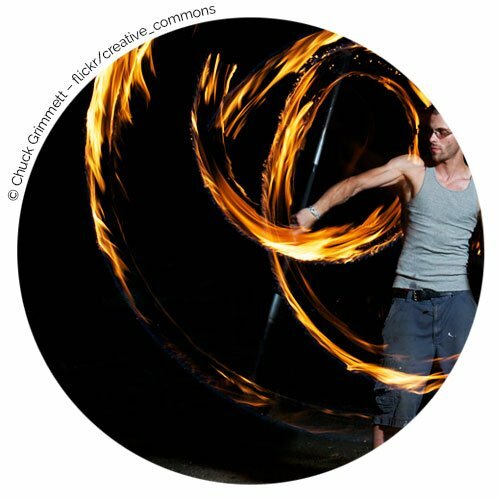 Buy Fire Staff – Fire Spinning Staff – Cheap Double Wick Fire Staff. This is where we house all the fire staffs in our range: standard, contact, travel and juggling fire staffs can all be found in this section. All our fire staffs are expertly crafted, have decent size wicks and make use of our unique wicking system that prolongs the life of the staff. If you’re new to it all and the large range seems daunting then have a read of What is Fire Staff Spinning? and How to Choose a Staff. These articles should answer any questions you have. 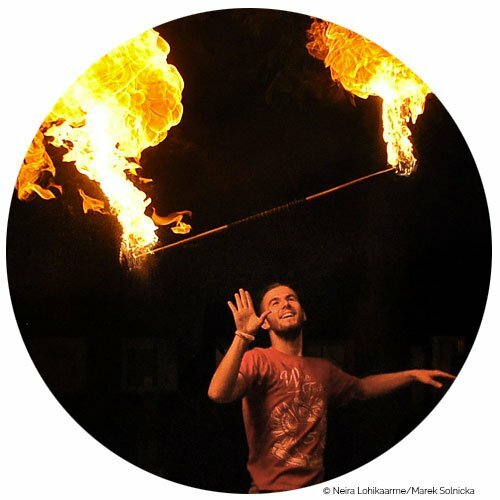 Our standard fire staffs stand out from the crowd for several reasons: large wicks, our unique bolts and a fully aluminium shaft – no weak wood in sight. We also plug the ends with fibreglass which means they won’t degrade with repeated burns. These fire staves come in lengths of 100cm (3ft 3in), 120cm (3ft 11in) and 140cm (4ft 7in). 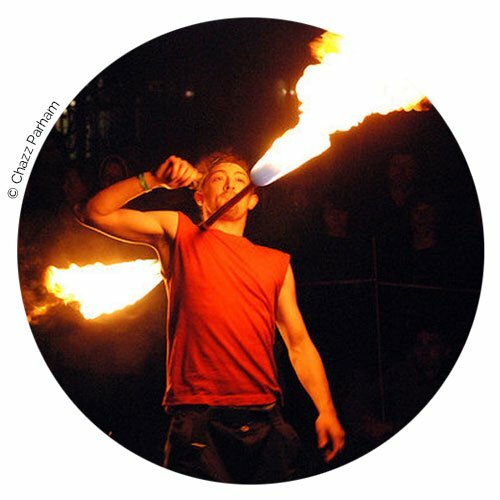 Our Fibre 3 contact fire staffs are designed specifically for contact staff tricks. A fibre glass core, aluminium heat shields and large wicks mean these staves are virtually indestructible and end weighted for superb results when performing contact staff moves. The Fibre 3s come with a choice of silicone or cushion grip and come in lengths of 100cm, 120cm, 130cm, 140cm, 150cm and 160cm (3ft 3in – 5ft 3in). The FibreAIR range is designed for throws and fire staff juggling. Also utilising fibreglass cores, only thinner and shorter than Fibre 3s, the FibreAIRs are strong enough to handle repeated drops from height without bending or breaking. If you haven’t got the room to lug a long staff about then a three piece travel staff may be the thing for you. We stock Gora collapsible fire staffs.